The Graco Pack 'n Play On the Go is a travel crib and play yard that comes with a bassinet. This bassinet is a versatile option that does more than one job at a reasonable price. While this product is a little harder to use than some of the competition and there are some eco-health concerns, the Pack n' Play bassinet is an excellent choice for families on a budget. With the ability to use this product from birth until toddlerhood the already low price becomes even more enticing. We think most families will appreciate the features and performance of this workhorse that it will be easy to overlook most of its flaws. The Graco Pack 'n Play On the Go is a travel crib that can double as a bassinet. This pack is a stand-alone product that does not attach to the parent's bed. In 1942 Philadelphia, two entrepreneurs named Russell Gray and Robert Cone co-founded Graco initially as a car parts fabrication company. Several years later Gray left the company, and Cone decided to produce baby gear with the help of an engineer. The first product they created was the infant swing from the inspiration of an outdoor glider a coworker used to soothe their newborn and the unique swing sold millions, putting Graco on the map in the baby gear world. 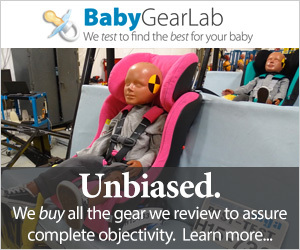 Soon after, Graco became the world's leading producer of baby-related gear. This comparison graph includes the overall scores for each product tested in this review and shows the Graco (blue) earning an average score, but the lower price made it a good value. The sections below provide information on the Pack 'n Play's performance during testing compared to the competition. The overall score uses individual metric scores with an emphasis on ease of use and breathability. The bassinet accessory on the Pack 'n Play clips onto the side rails and is easy to setup. The Graco earned a 4 of 10 for ease of use. Our ease of use metric includes a variety of features and functions that influence daily use. While the Graco doesn't attach to the parent bed it can be placed beside the bed for easier access. This product is rather large, and the bassinet would require reaching further in toward the middle to reach your baby. If you had this next to your bed, you'd need to sit up to reach the baby, and it would be hard to get out of bed without moving it. The Graco has two wheels which are substantially larger than any other in the review. The legs without wheels prevent movement when you don't want any. This bassinet weighs 22.8 lbs and measures 28.8"H x 41.1"L x 28.6"W when setup. This weight could make it harder to move, but it also has two wheels on one end so you can lift the side and pull it almost like luggage. The width is narrow enough to fit through doorways making it reasonably easy to move from room to room even if it is a little hard on stairs thanks to the weight and length. While the Pack 'n Play isn't super long, it is relatively wide compared to the competition. Its overall measurements and weight earned it a below average score for portability. This product is also a travel crib/play yard and easily folds and fits in a travel bag for easy transportation. This transportability makes it a good option for use for child care away from home. The full-size bassinet is one of the additional features of this product. The others include a plush toy bar (above left) and a storage bag that hangs off the end of the yard (above right). The Graco took almost seven minutes to set up with the bassinet. If you include the accessories, it takes closer to nine. The Graco has a lot of moving parts, but the directions are shown on the play yard bottom (above left) and include locking the sidebars and pressing down on the center of the yard. The fabric snaps to the frame, and the mattress secures with velcro. The bassinet clips over the top rail and uses the same bed as the play yard bottom. Folding requires pressing on the side rail button (above right) and pulling up on the bottom handle. This Graco is spot clean only with soap and warm water, so we recommend purchasing a fitted sheet to keep the mattress cleaner. The Graco bassinet has mesh sides for increased breathability. This Graco earned a 4 of 10 for breathability. Unlike the play yard that is entirely mesh except for the corners, the bassinet attachment has some fabric on the ends which decreases overall breathability. The wider width of the Graco also means a baby could turn sideways and end up with their mouth against fabric instead of the mesh. The Pack 'n Play would have a higher breathability score if the bassinet were all mesh. The Graco bassinet sleep surface performed well compared to the more expensive competition. This Graco earned a 7 of 10 for the sleeping surface. This score is the highest sleep surface result for any product under $100 in this review. The Pack 'n Play mattress is average for compression compared to the competition making the mattress firm, but not the best in the group. It is stable with no rolling issues observed, and it fits nicely into the bassinet without moving, though we were able to get our fingers around it by pressing on the mesh. The Graco crib mattress has a decent cushion and is soft with some firmness for support. The mattress is .7 inches thick where the maximum allowed for this type of product is 1 inch. The bassinet accessory for the Graco has similar dimensions to the play yard and can be detached for versatility. It uses the same pad as the play yard with similar quality in materials and construction. The Pack 'n Play earned a 7 of 10 for quality which is somewhat impressive given the lower list price. This product is sturdy with no tipping issues, and you can press on the top rail without it moving. However, it tends to shake back and forth with minimal effort. The fabric and mesh are taut and fit the frame nicely, but they aren't very soft. We didn't see any issues like poor stitching or connections, and while the materials could have been better, they are good quality for the price point. Given that baby's spend a significant amount of time sleeping and breathe deeply while sleeping, the materials close to them during this time are important. This Graco earned a 3 of 10 for eco-health thanks to a lack of information and the potential use of flame retardants. This score is the lowest in the group and ties with several other budget options. This bassinet fabric is polyester without any details on whether or not it includes flame retardants. The Center for Environmental Health (CEH) gave Graco their second-lowest rating of "Fair" because the company failed to report their flame retardant status to CEH even though customer inquiries indicate that the products are free of these chemicals. We remain skeptical about whether or not Graco uses these chemicals as it seems like a feature most companies are bragging about while Graco remains mum. The polyurethane mattress and lack of any third-party certifications or organic materials hurt its overall eco-health score. The product itself is JPMA certified. Frequently using your Graco requires investing in fitted sheets for easy cleaning. Graco Pack 'n Play Playard Fitted Sheet — This fitted sheet is 80% polyester and 20% cotton, and is not waterproof. It is machine washable and safe in the drier which may make it easier to keep your baby and the bassinet cleaner. Graco makes a variety of play yards and bassinets. Given the sheer number of options, it is hard to purchase and test all of them. But there are some potential contenders. Graco Dream Suite — This bassinet is included in this review of twelve options. It didn't perform that well compared to the competition, and its overall score was the second lowest in the group. If the Pack 'n Play is too large or heavy and you want something smaller we recommend either moving away from Graco or considering their Travel Lite Crib detailed below. Travel Lite Crib with Stages — This bassinet/crib is smaller than the On the Go Bassinet, and includes a full-size, adjustable bassinet with full mesh sides. This product weighs less than 20 lbs, and it converts to a play yard easily. This option has push-button fold and a travel bag that makes traveling or storing the bag easy.